From a casual visitor to a diehard Woodcrawler; I have come a long way. It has been a decade and a half since I transitioned from 'just another tourist' to someone who is more concerned about the forests of this diverse country. Since this is my 100th post of 'A Woodcrawler's Journal' I thought it had to be special. What better than a rewind to the old days! It was 10.00 AM on the 13th of February, 2015 when I typed the title of the post. (By the way, it is a Friday the 13th!!) Buckle up your seat belts and strap up your helmets, whichever you prefer. It's going to be a really long journey with me. We'll take a break occasionally but always in the wilderness. Fuel up and let's roll through some 15 years of woodcrawling! 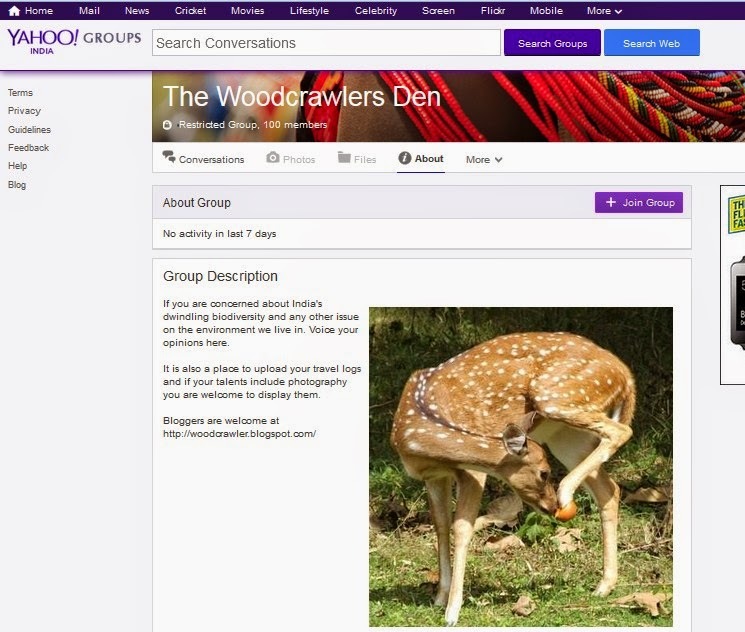 If I were to take you back it would have to start with the Woodcrawler's Den on the Yahoo Groups, a group I started way back in 2001. Over the course of the many years it was a forum for some discussion on environmental issues. I had issues with my Yahoo Id being hacked thrice and now I've given up. There has been no activity in that group for many years now, though the page still exists according to Yahoo! The original Woodcrawler's Den. The Chital with leg in plastic ice cream ball still adorning the group page! 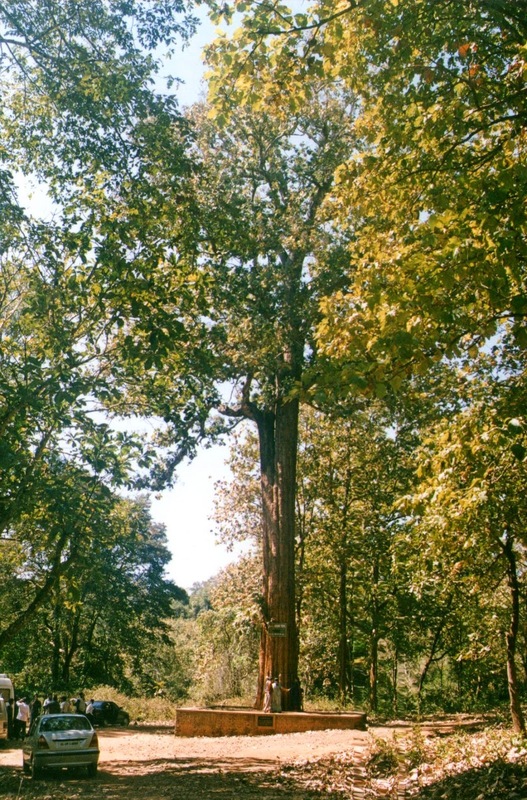 Many of my initial forays into the forests of India are recorded in pictures there. It was a group for discussion but not a blog where thoughts could flow freely. The Woodcrawler's Den slowly lost it's pre-eminence after The Woodcrawler's Journal got its spot in the blogging firmament. Let me confess here that when I started on my first trip to the jungle, way back in 1997(? ), I was a complete novice. 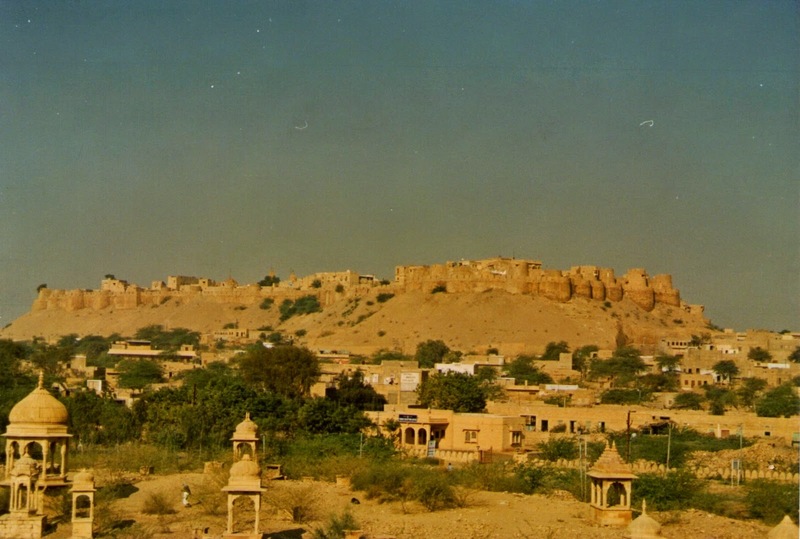 It so happened that my sister was living in Gurgaon then and it was at her invitation that I packed my bags for a rather memorable trip to Rajasthan. It was not exactly woodcrawling but more of sand crawling in Jodhpur and Jaisalmer. Ranthambore was the last leg of the trip and and passed without even a scent of one of its famous tigers. Those were the days I was collecting Ullas Karanth, Valmik Thapar and Billy Arjan Singh. 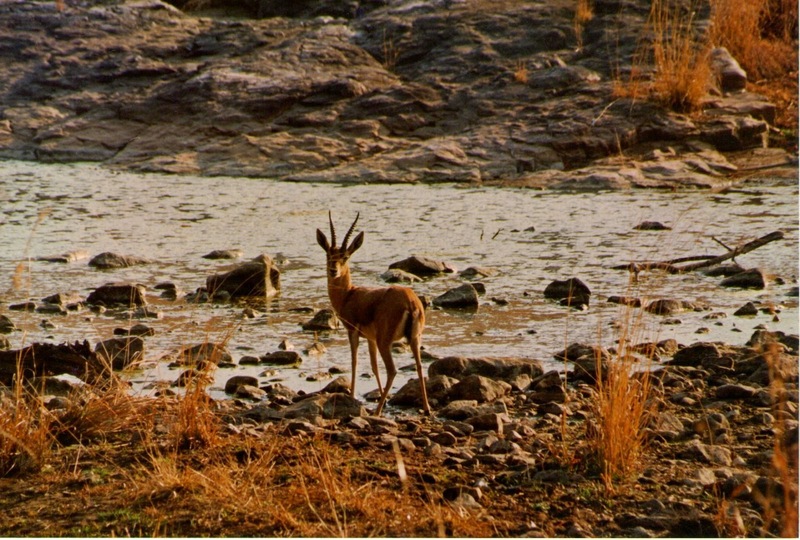 Ranthambore was all about Fateh Singh Rathore but I did not have the opportunity to meet him. The internet was just making its imprint in my part of the world and VSNL with its extremely lethargic 56 kpbs (by today's standards) was my only access. I became the proud owner of my first desktop PC running the Windows 95 around then. A HP Vectra, that I went all the way to Bengaluru to purchase. Those were the days of Altavista, Infoseek, Lycos, Yahoo Search and Webcrawler. The last of them would figure in my coining of the word Woodcrawler. Google wasn't launched till a few years later. Mind you, I have never created an email ID, till date, by which someone can guess my identity. It has been tigertracker@whatever.com, be it on Rediff, Satyam, AOL, Yahoo or Google. Many like Satyam and AOL closed shop. Yahoo was hacked! Rediff and Google still remain. I'm getting diverted here. Apologies. I only wanted to tell you that in the days before the internet all the information I gathered came from books. 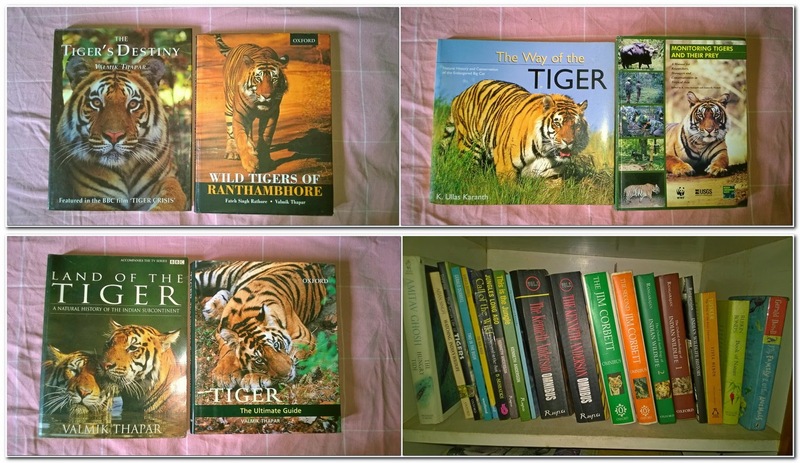 As you can see then I had built up a sizable collection of tiger books and books of tales from India's jungles. Evidence of my tiger obsession! The tiger was the nucleus around which my travels were planned and they were planned on information from the very useful Lonely Planet! Perhaps I was gratifying my disappointment of not becoming a marine biologist to keep my parents happy! In any case, my conversion from an armchair tigertracker was completed with that trip to Ranthambore. It is immaterial that I never saw even a pugmark on that trip, but I was hooked! 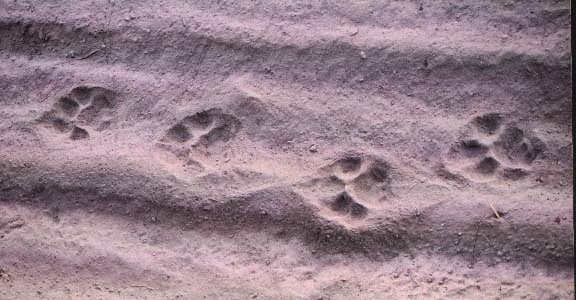 It was more about birds, crocs and ungulates in Ranthambore but the place left a indelible mark on my mind. I had to find my tiger! It was a long lull before my next trip. Setting up my practice in Palakkad and settling in life were priority. 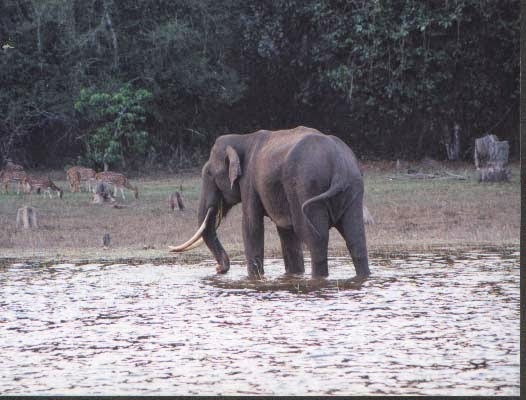 Kabini happened in 1999. It was an entirely different experience for two things. 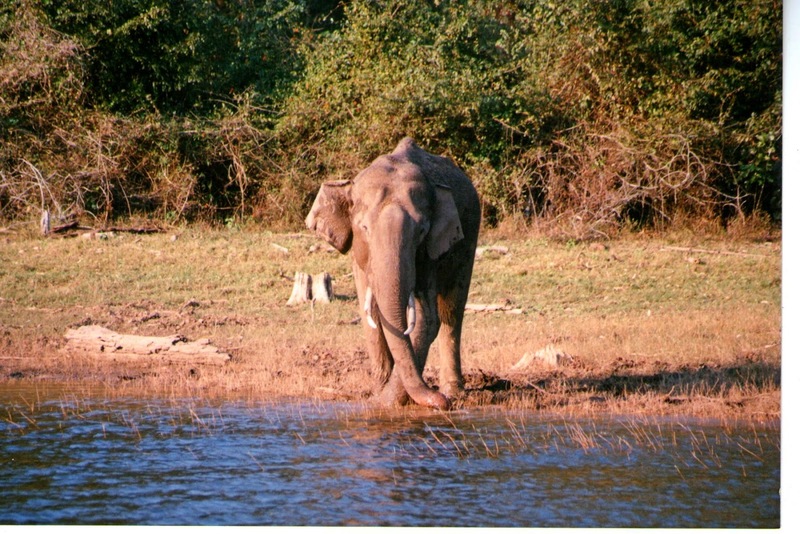 The first was, Kabini (or Nagarahole) was elephant country. 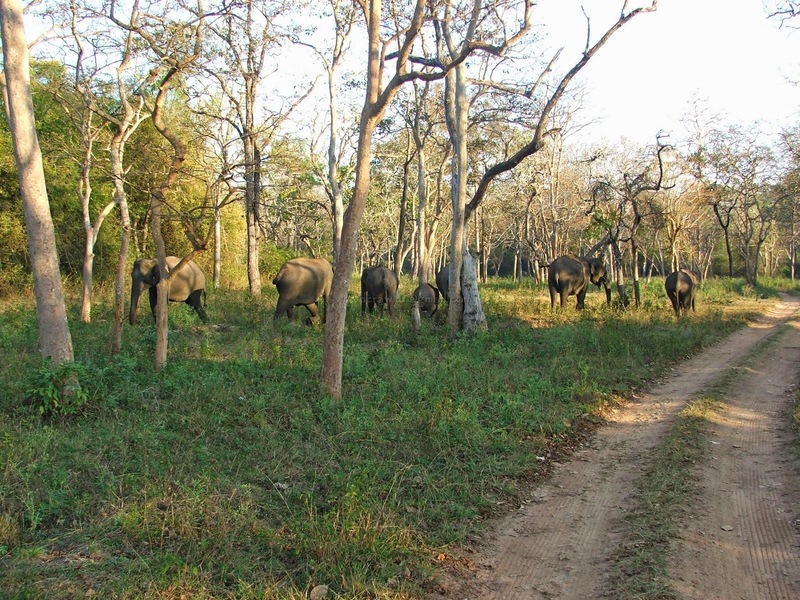 We had encounters with both elephant and gaur in large numbers. That would be the first time I faced an elephant or gaur in the wild, and at extremely close quarters. Robert Plant dropped in on the way to Thiruvanathapuram! 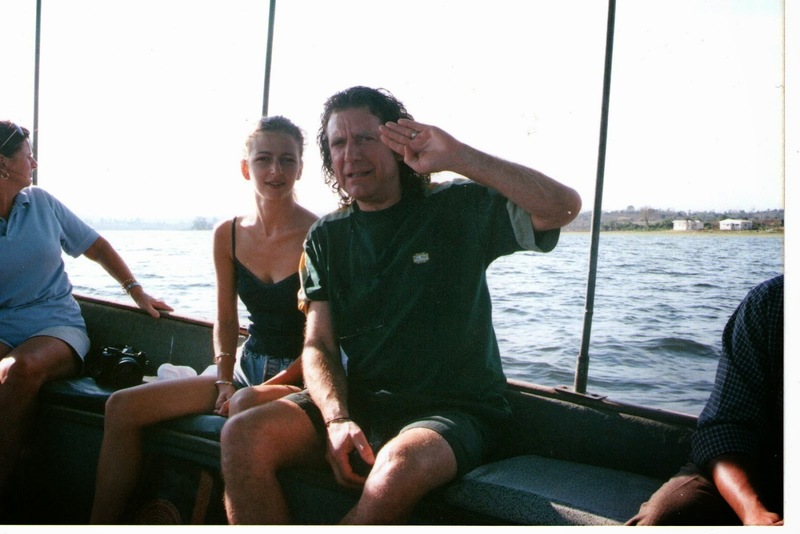 The second reason why is was different was a guest at Kabini River Lodge of JLR where we stayed; Robert Plant. For those whose eyebrows might have curled upward a little, let me tell you, I wouldn't have mentioned that name if he weren't special. Robert Plant was Led Zeppelins's lead singer and lyricist, and the singer of one of the Top 5 songs on 'my list of the best in rock', 'Stairway to Heaven'. There is nothing to beat the feeling of shaking hands with a rock legend, sharing an exclusive safari vehicle and posing for a photograph with them. Those were the days before mobile phones came so I couldn't post a selfie on Whatsapp!! I don't have too many photos to share because the camera I owned during these early years was a humble Minolta film SLR. Printing costs ensured that the number of exposures were kept at a minimum, usually about 36. I carried four rolls of 35mm ISO400 Fujifilm, one in the camera and three more extra. I learnt to use them judiciously! That way I used expose two rolls completely with the third one still in the camera and one always on standby! Whatever that I have uploaded here are scanned pictures of the prints from those days. 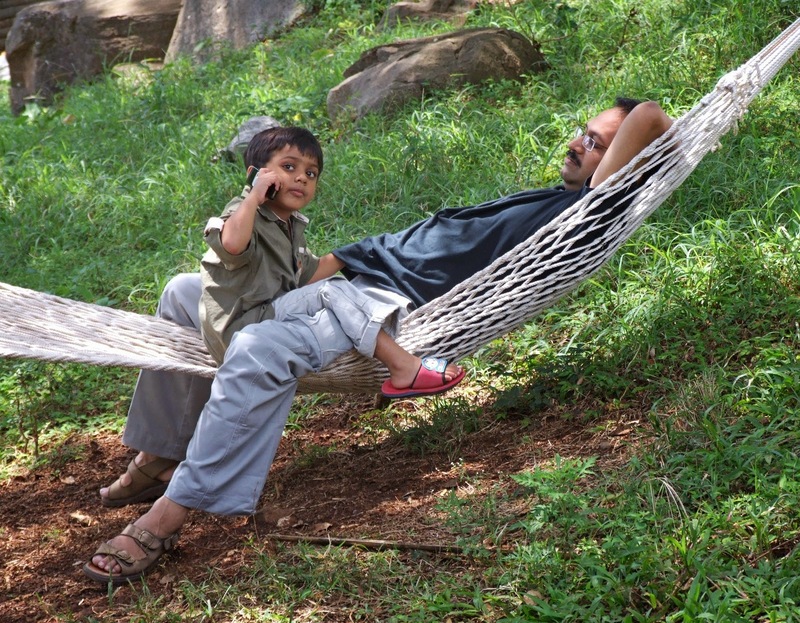 Bandipur was just another sanctuary on the way to Mysore in those days. JLR had not yet acquired a property there. ( That would happen later, when they took over the erstwhile KSTDC Mayura and turned it into the Bandipur Safari Lodge). The next trip was to BR Hills, or Biligiri Rangan Hills. 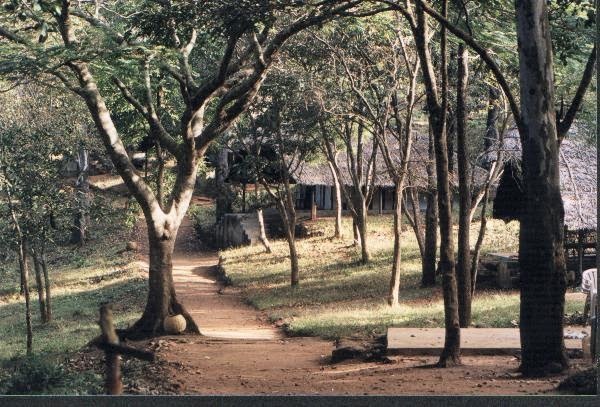 JLR had a property there; the K Gudi Wilderness camp. 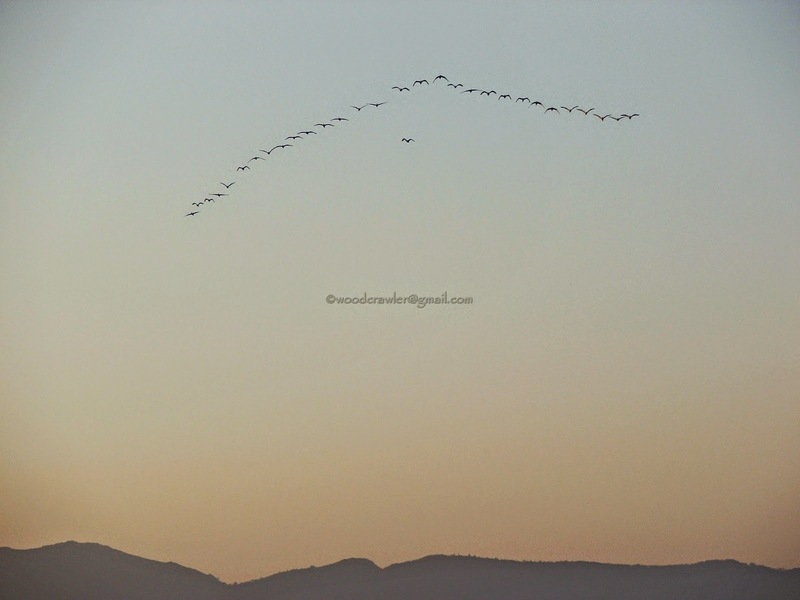 I still rate that as one of their best because it stands in splendid isolation within the B.R.T Wildlife sanctuary. K.Gudi is not for people used to the trappings of luxury. No electricity except when the generator runs for a few hours in the morning and evening. No television. No proper mobile network, though I think it should have improved now. At the time of my first visit, the the notorious sandalwood smuggler and poacher, Veerappan was at the peak of his activity. His area of operations included the large tracts of forest from Satymangalam to Kollegal, that included B.R Hills. This meant that many areas were off limits to us. 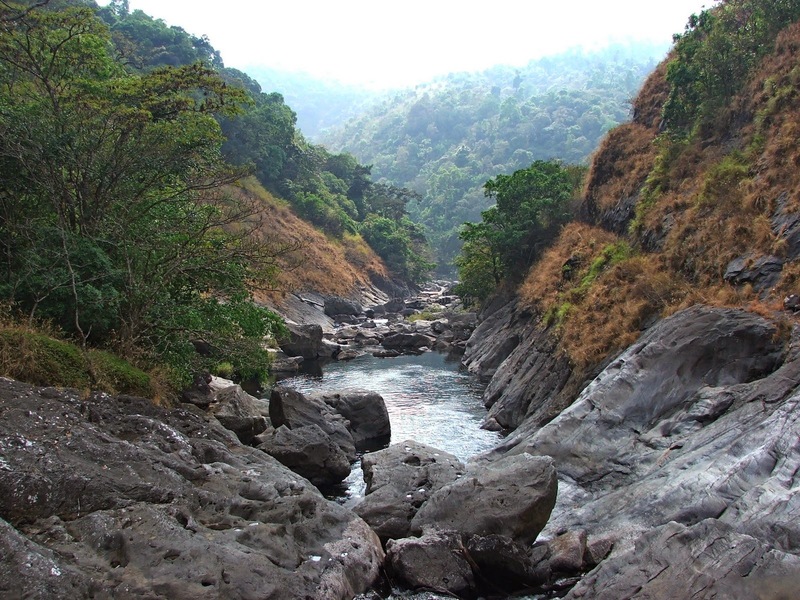 In K.Gudi, once darkeness sets in, you are enveloped by the sounds of the wilderness. It is one place where you can hear the denizens of the jungle sitting outside your tent, and even see them if your luck is good. K Gudi, as I also discovered, is a great place if you have birds on your mind. Then Skanda announced his arrival and everything was put on hold till he became old enough to travel. 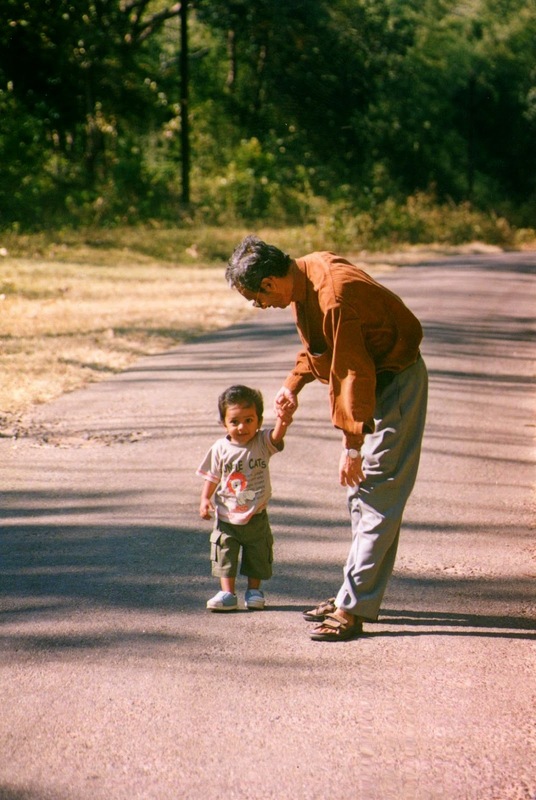 Once he was able to toddle along the first trip was to Corbett National Park! For the record, my first tiger sighting was in Corbett. Just a brief glimpse of a cat that bounded across the forest road and disappeared from sight. The only consolation on that trip was the few pugmarks I got to shoot as a compensation! Skanda's first elephant charge too happened in Corbett though he was blissfully unaware that the elephant was trying to shoo us off! "Get away and don't come back", from the back of a Gypsy racing away! 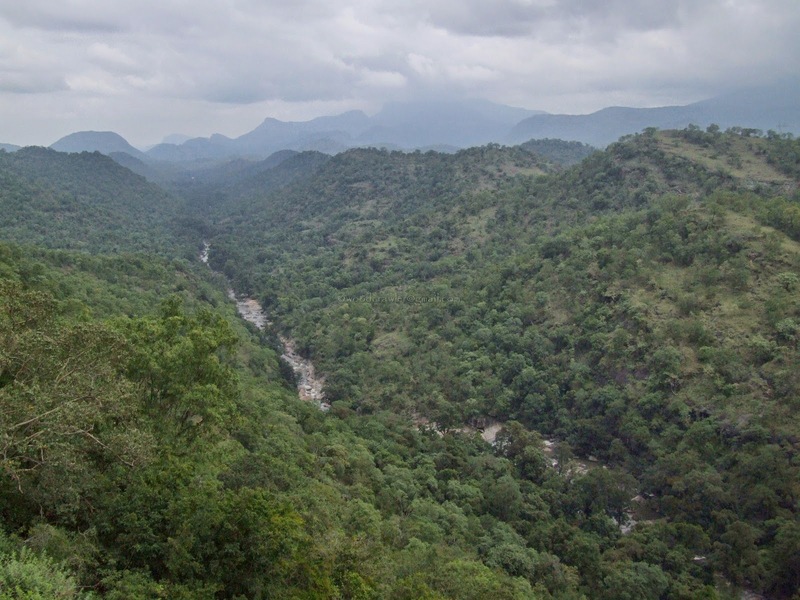 Nearer home were two other places,Parambikulam WLS and Silent Valley National Park the former is now a tiger reserve. One of the last trips with the Minolta was to Parambikulam. Skanda was just two so it was easier to make a day trip. 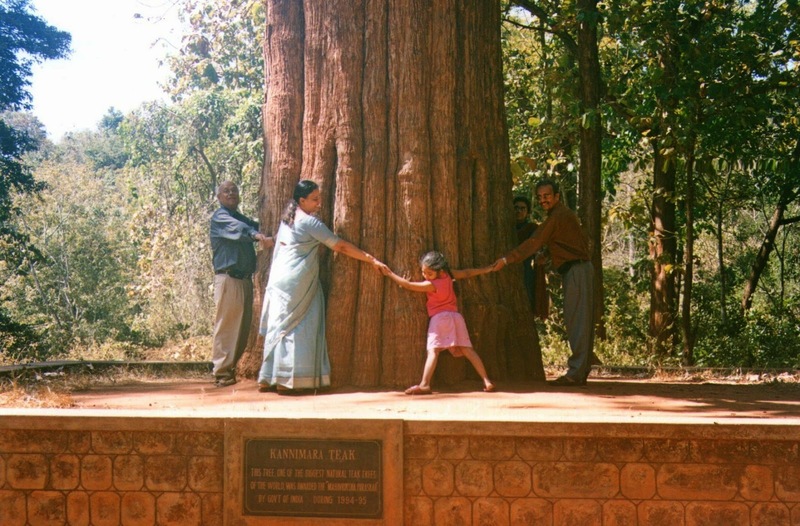 The first trip to Parambikulam was in 2004 and it was more of a family picnic. 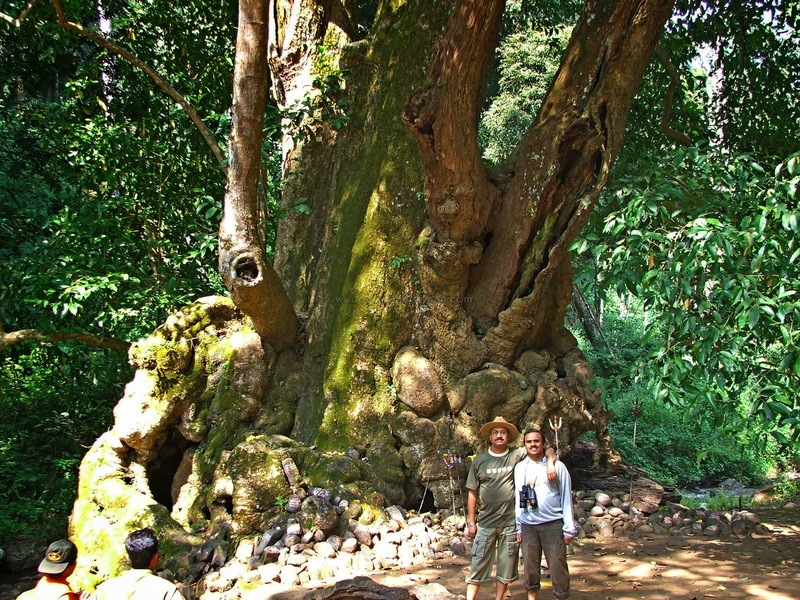 The Kannimara teak, like the mother tree in Avatar, was the main attraction. We could take our own cars into Parambikulam in those days, albeit, with a guide accompanying us. How many hands needed to encircle the base of this giant tree?! Skanda took his first steps towards becoming a woodcrawler then! Two trips in quick succession would follow in 2005. I had by then shifted to the digital format, and was the proud owner of a Fuji S5500. Silent Valley is unique because of the singular perceived absence of the cicadas. 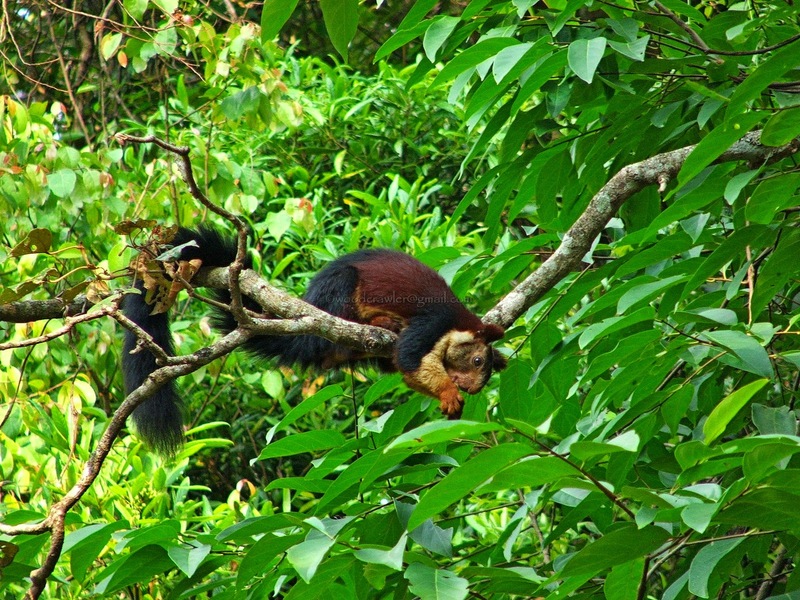 It forms part of the core area of the Nilgiri Biosphere Reserve and home to the largest population of the Lion tailed macaques. It also has a rich and varied birdlife. It was the first place I saw the Malabar Trogon, Indian Pitta, Emerald dove and a Pardise flycatcher in a span of one hour. It was also the place I learnt that a digital camera had a lot of catching up to do it it were to match the SLRs! Jungle Lodges and Resorts Ltd had taken over the KSTDC Mayura just outside Bandipur National Park and converted it into a resort with all facilities like in Kabini and B.R Hills. 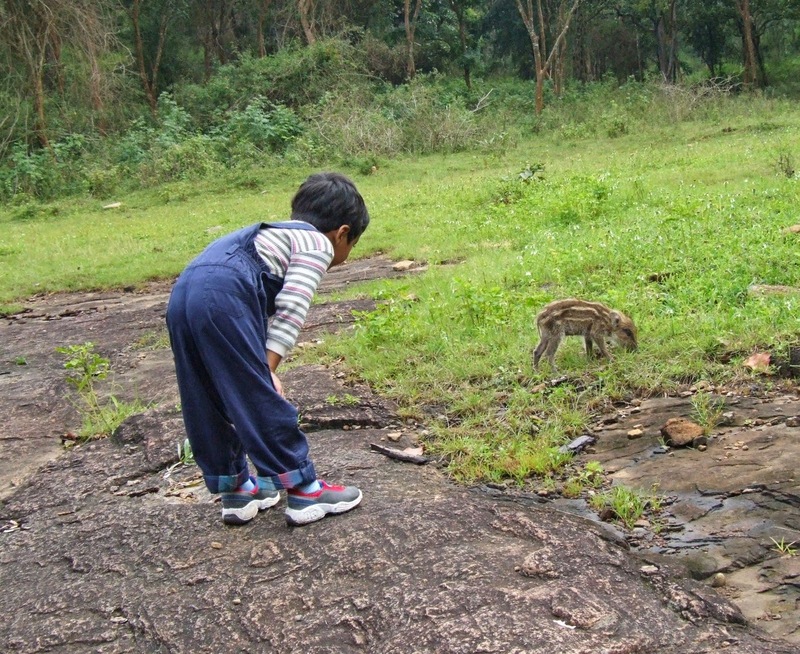 That was the first time Skanda visited the Bandipur Safari Lodge and that has been his favourite place till today. 2005 was the year I went to BR Hills for the second time. By then, Veerapan had been killed, and the restrictions to some parts during the time he had a free run was lifted. It was an opportunity to explore a little deeper. 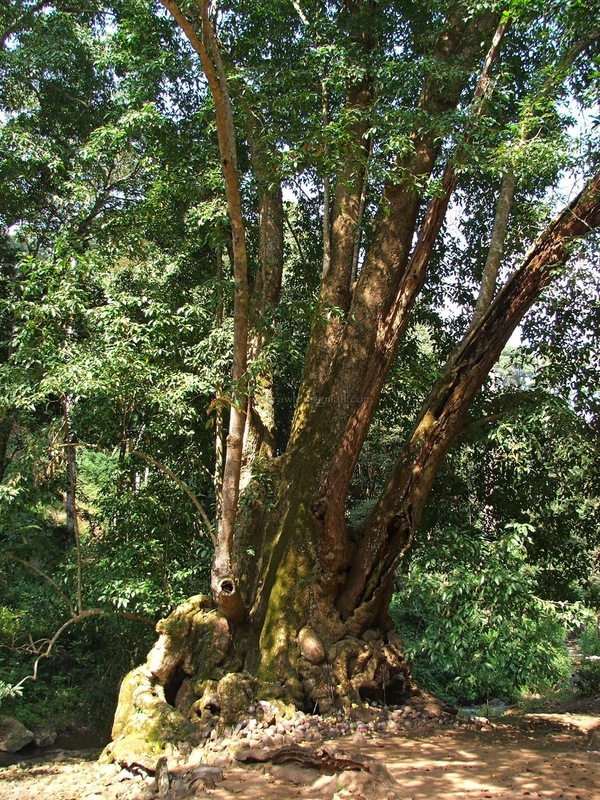 The Dodda Sampige Mara or big champaka tree was once again accessible. It was reputed to be over 1000 years old (some even say 2000!) and this 35 meters tall tree still flowers in spring. The Dodda Sampige Mara with is granrled base. 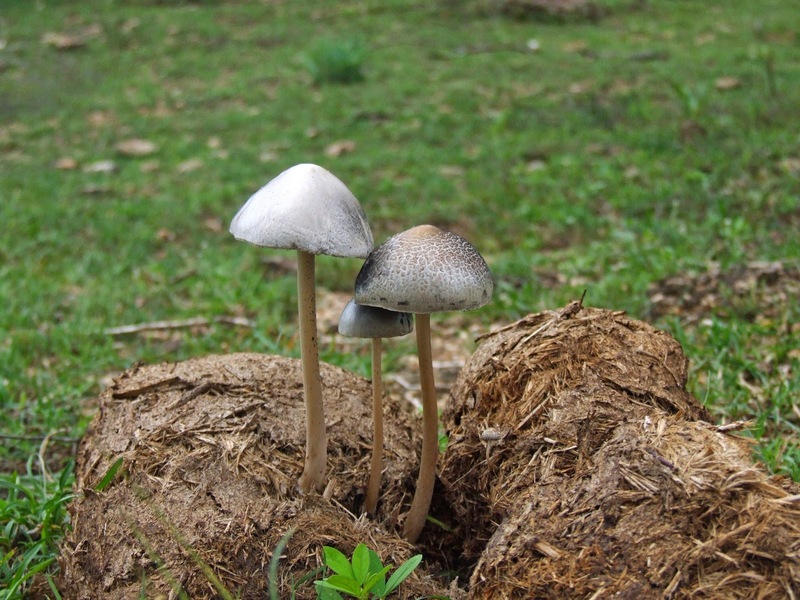 It is sacred to the Soliga tribe and they worship the Shiva lingas beneath it. The stream flowing next to it is the Bhargavi, a tributary of the Cauvery. The sacred Shiva lingas and trishuls at the base of the tree. Just to show you how big the tree is! 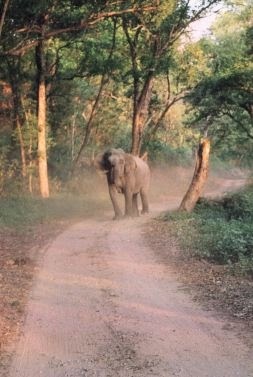 Late 2005 had brought news that JLR was getting a property ready near Bhadra WLS (now a tiger reserve). Bhadra was not a new place for me. I have been to the area as a part of the ophthalmic screening team from my medical college in Manipal. The team used to be put up in the Government Guest house overlooking the reservoir. 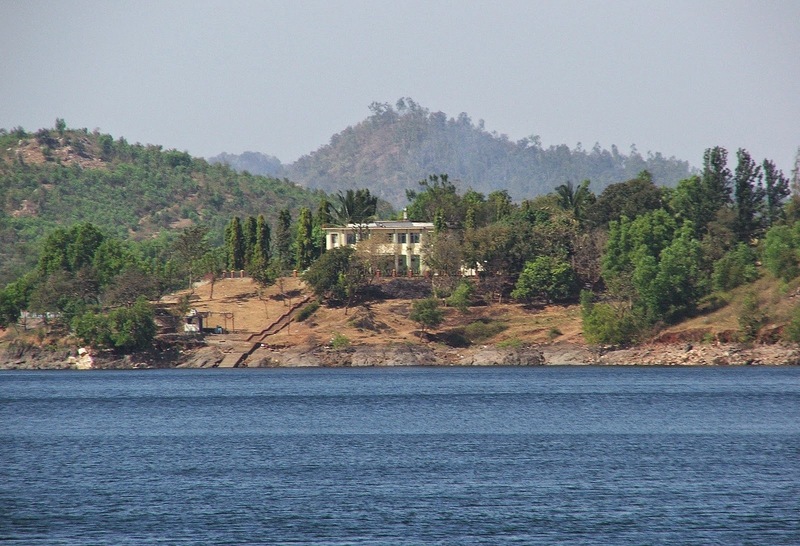 The reservoir was one of Karnataka's largest and the banks of the reservoir was a popular nesting site for the Indian River Tern. That trip, in February of 2006, was something really different. 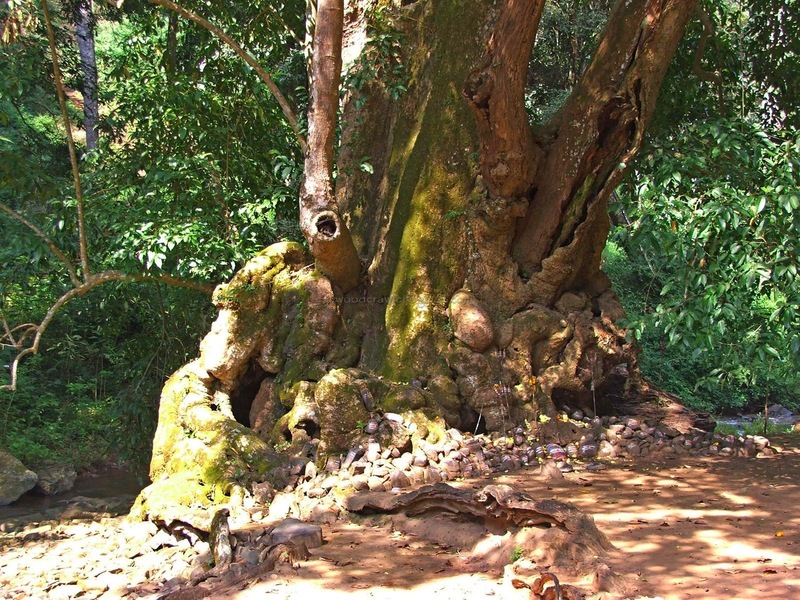 The Bhadra WLS (now a tiger reserve) had not yet been developed with the tourists in mind. The forest was dense and if wildlife sighting was the yardstick used to measure a forest this would rate at 3 out of a possible score of 10. 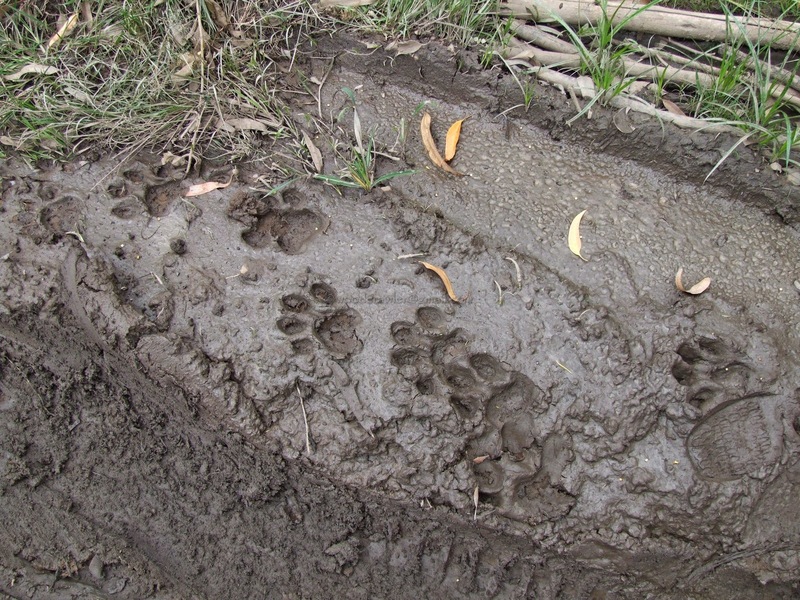 We saw the pug marks of a tiger on the edge of the reservoir but nothing else. It is also the only place I have sighted the Malabar Pied hornbill and got a 'record shot' of! 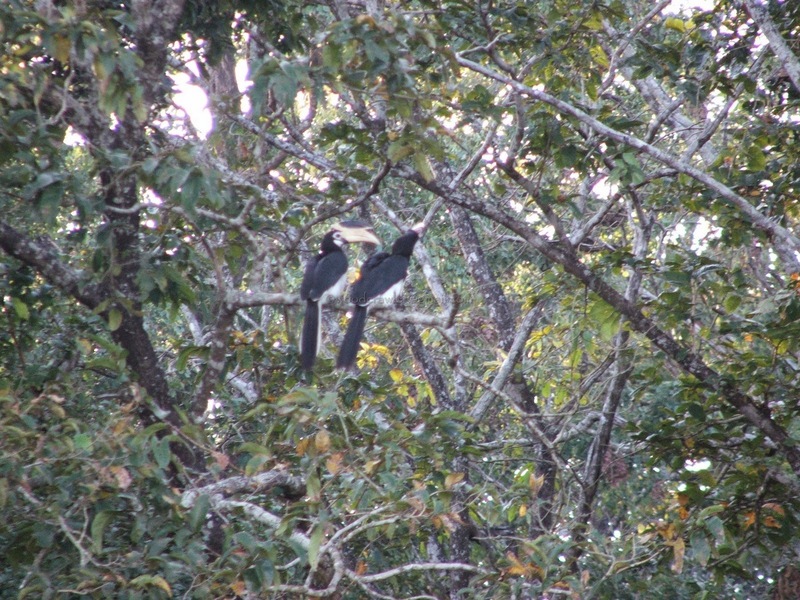 Malabar Pied Hornbills, a purely record shot! There was something unique on that trip which should boost the rating to 8 out of 10; the fresh water jelly fish. 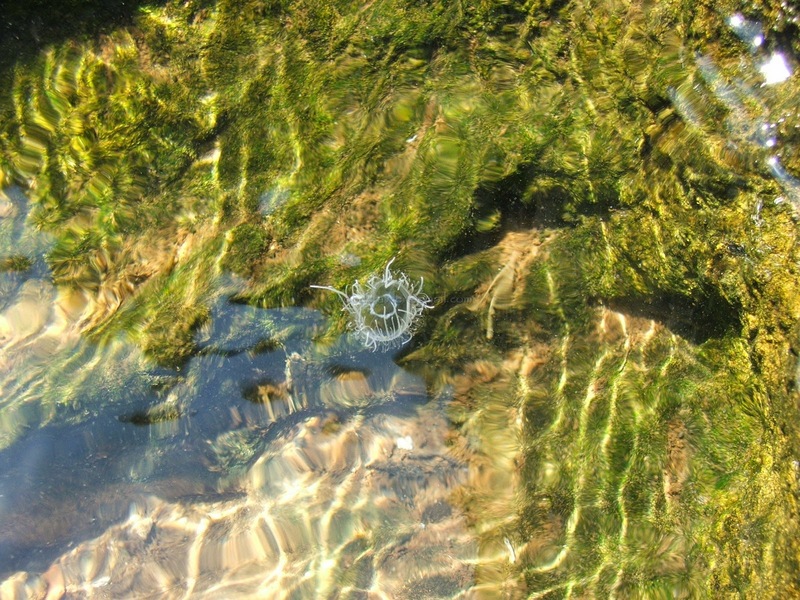 The waters of the reservoir were hosting a bloom of jelly fish. ( In case you did not know a group of jellies that appear in a small area during certain seasons is called a bloom! Like the blooming of the neelakurinji!!). It is apparently a very rare phenomenon and the identity of the species is still not confirmed. I was under the impression that it was the Craspedacusta sowerbii because that was the only name popping up when I Google 'fresh water jellyfish'. Someone wrote a comment on my Jellyfish blog, that it was actually Limnocnida indica . I am no expert on jellies on anything rare but I had the privilege of being witness to an even which very few people have seen and rarely recorded! Anyway, after that Bhadra trip, I think changed my views on India's biodiversity. I started looking beyond the tiger and perhaps, unconsciously, transitioned into the Woodcrawler that I am today. 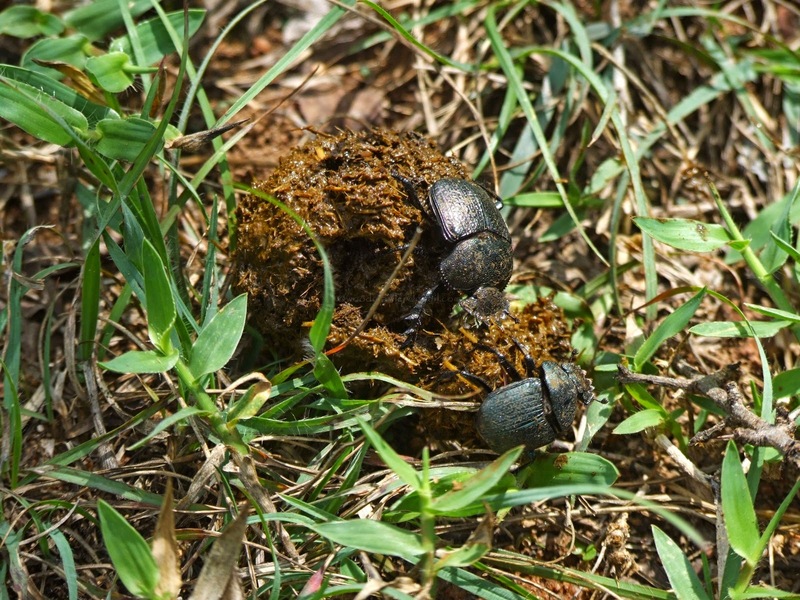 Soon after, the first post of 'A Woodcrawler's Journal' was uploaded. Corbett & my first tiger picture in the wild! Corbett was beckoning again. 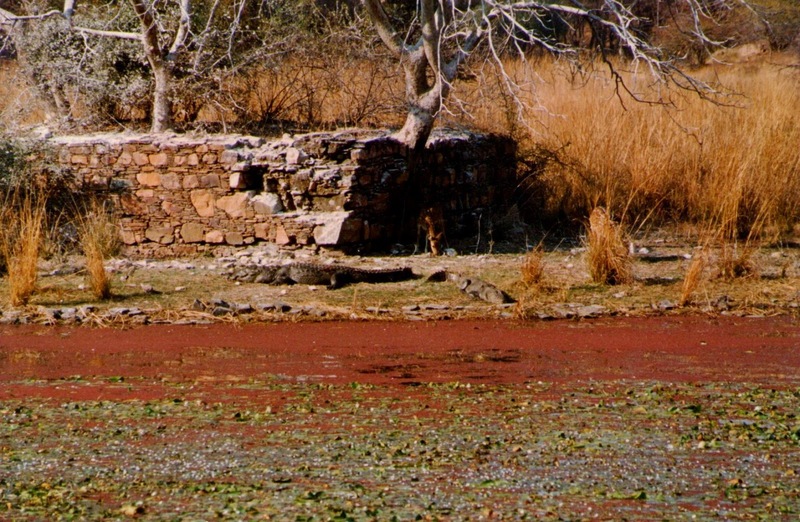 In May of 2006 we went back to India's first tiger reserve. Dhikala was our base and what a memorable trip it was. The first safari of the trip was coming to a close and as we were driving up to the rest house our first tiger emerged from the tall grass, crossed the road and disappeared again. At 6.45 PM, with failing light and trembling hands, I got my first tiger. Bad picture but nothing can beat the satisfaction of seeing a tiger in the wild. My first tiger on camera! There was a freak thunderstorm, the power failed and we thought the roof would fly off. All this in the dead of night! The trees were bending so much in the wind that we thought it would keel over and land on our rest house roof! Mercifully it blew over and let us sleep in peace. 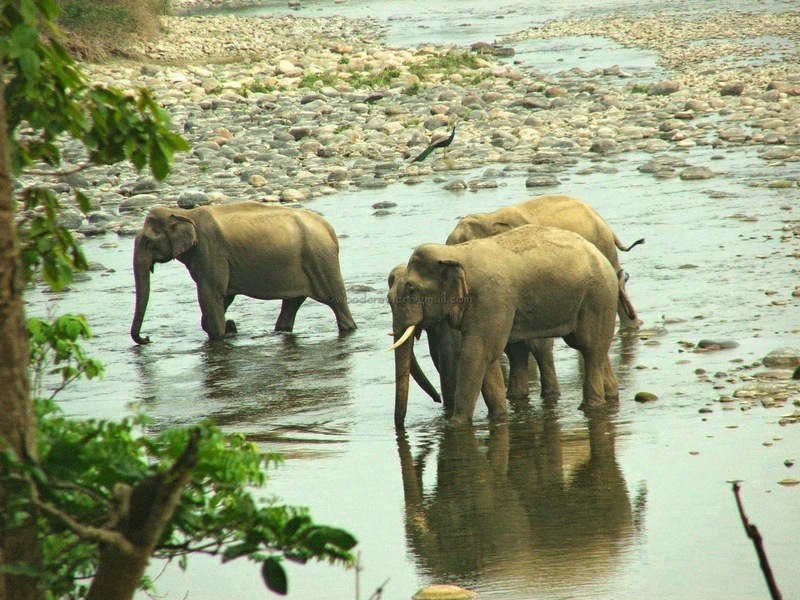 Morning produced Corbett's famous elephants in large numbers. After a leisurly bath and breakfast we were exploring the rest house's surroundings and then; TIGER!! In the trickle of water in Ramganga below the rest house was this tiger, having a leisurely soak. It was in the water for almost 30 minutes before it went into the bushes. It reappeared again in the afternoon to soak itself for another 20 minutes! There are times you regret not having carried your SLR, even if it loaded film! 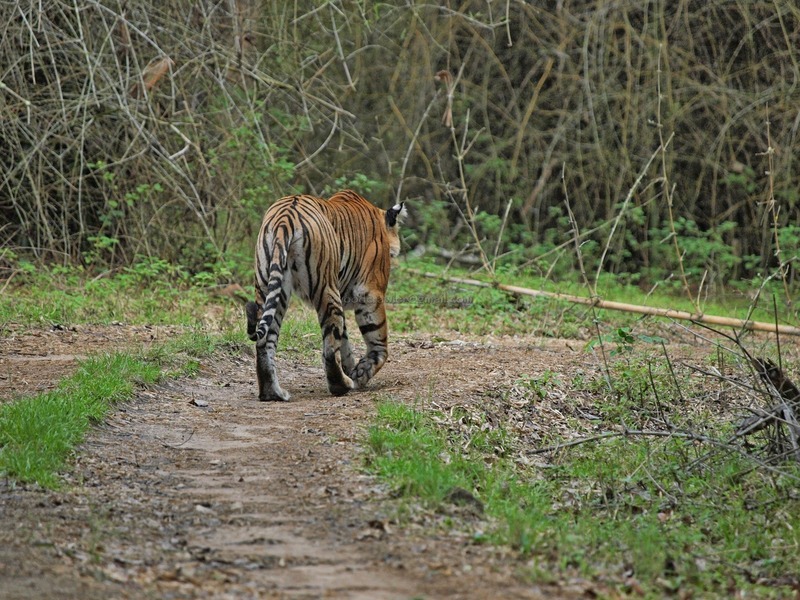 A month after Corbett we had done Bandipur again but the cats proved elusive. In August of 2006 while returning from Mysore we decided to take detour through the Wayanad road to see a hitherto unseen part of Bandipur. 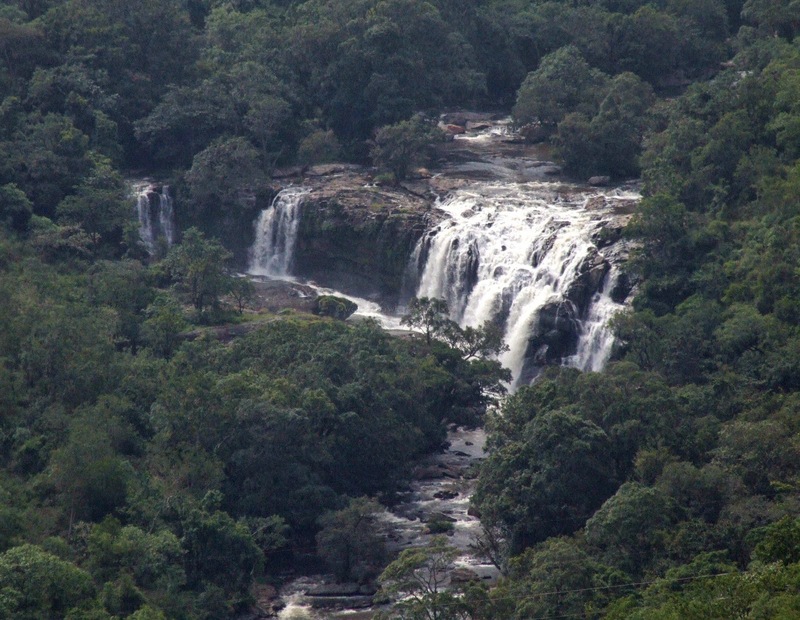 Wayanad has two sanctuaries, both on the border with Karnataka. Tholpetty WLS was on the Mysore-Manathavady road which passed through Nagarahole NP. 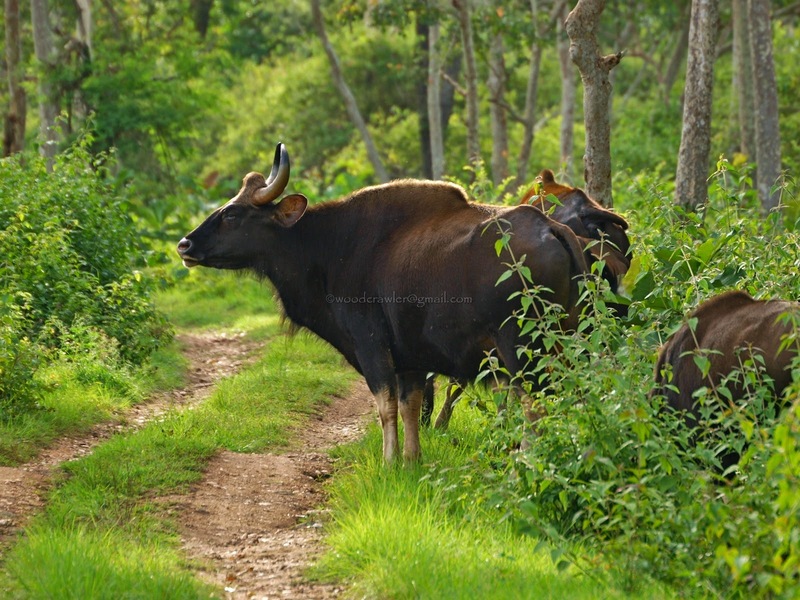 Muthanga is on the Gundlupet- Sultan Bathery road contigous with Bandipur NP. We planned to make a U-turn at Muthanga WLS on the Kerala- karnataka border. At Muthanga found that we could drive into the sanctuary with our own vehicle! Not one to pass up an opportunity we decided to do it. Lunch could wait. Our luck was still not with us. Perhaps if we had been there minutes earlier we'd have seen our first tiger in the Nilgiri Biosphere Reserve! Our car got stuck in some slush and just beside the rut caused by our tyre was a fresh pugmark of a cat! The cat we missed in Muthanga! We returned to Bandipur for a late lunch and a drive home. 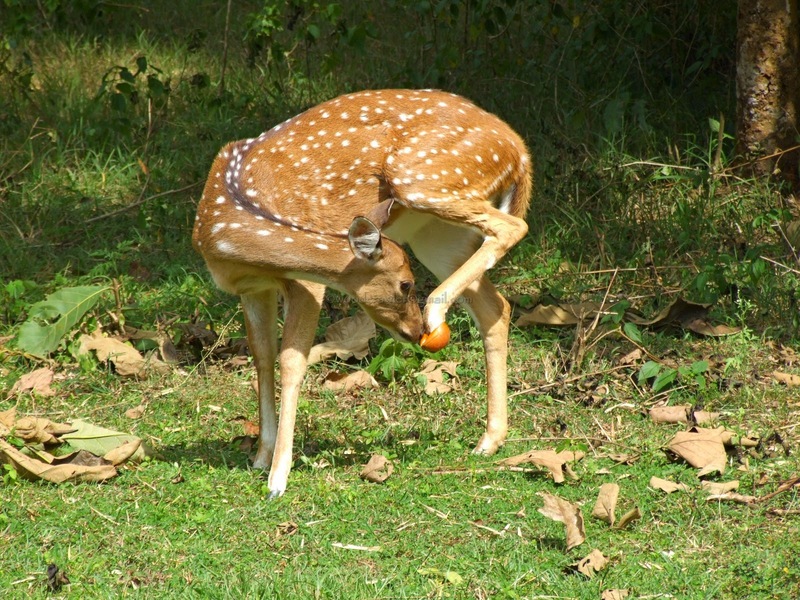 It was on that trip we saw this chital with her rear hoof stuck in an empty ball ice cream container. It has, since then, been the group photo of the Woodcrawler's Den. We went back to K Gudi in September 2009. 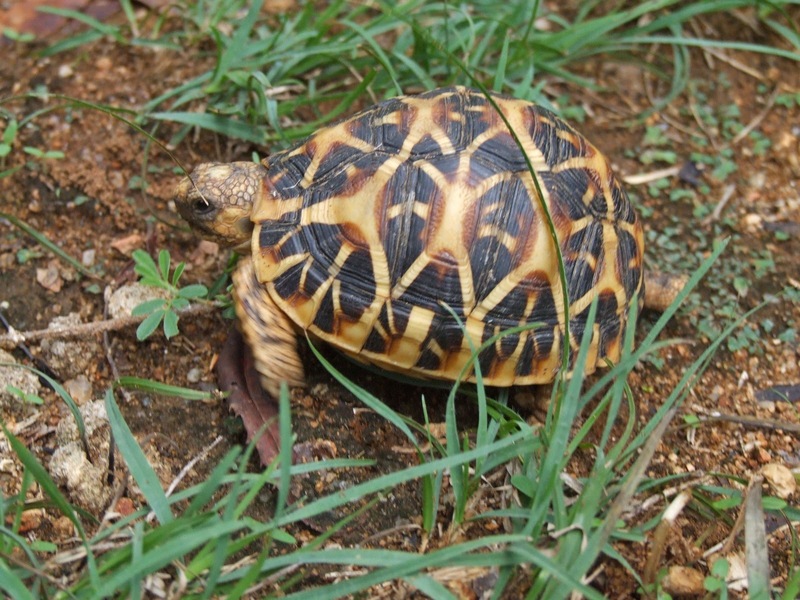 Skanda was growing into a woodcrawler and every trip into the jungles was a revelation. "Hello Bathy, Papa's tummy is rumbling. Time for our lunch!!" "Will you be my pet, little piglet?" Sometime in October of 2006 I made a trip to Munnar through the Udumalapet-Amaravathi-Chinnar route. It was the first time I did that route and Chinnar WLS instantly struck me as potential woodcrawling destination. So before the week was out, I was back in Chinnar woodcrawling. It was then I realized the benefits of using my two feet! I even started a new blog in my excitement of having discovered my feet, the Chinnar Chronicles! 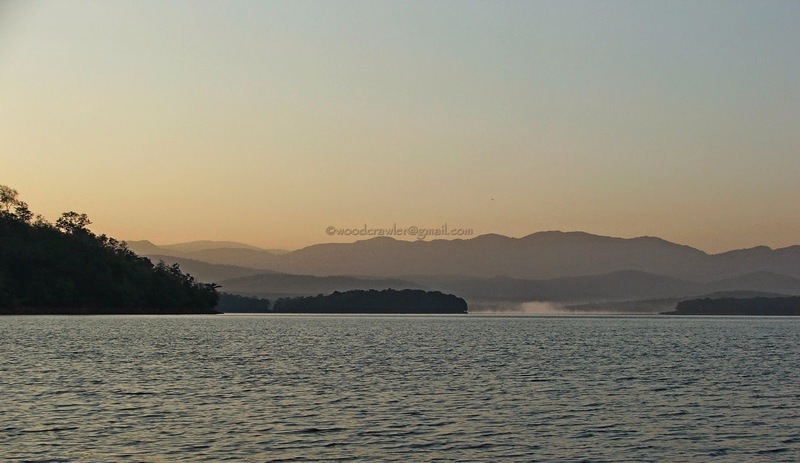 Kabini and Bandipur never cease to amaze me. Every time I visit these places I always return with fond memories. I soon started realizing that I had forgotten about the cats. Just bumping along the forest tracts were a balm for the soul. 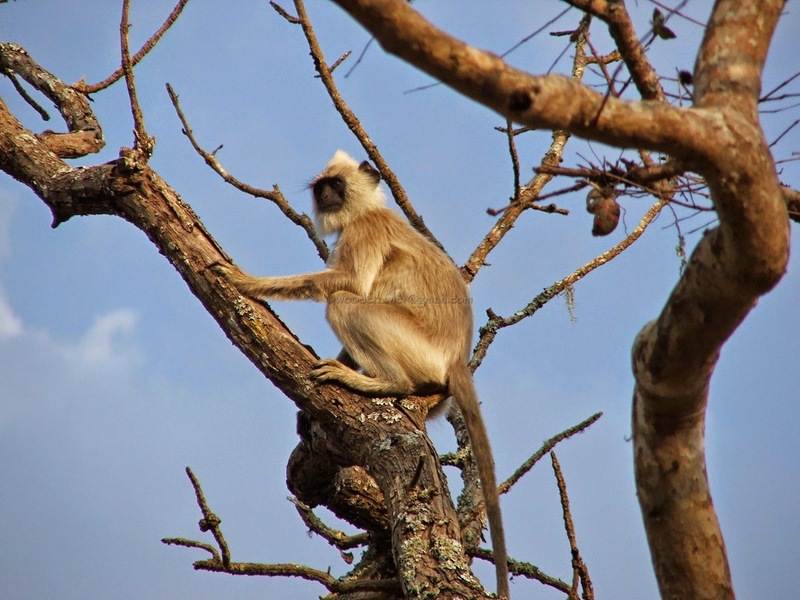 In Bandipur it was another crafty predator that had my attention. 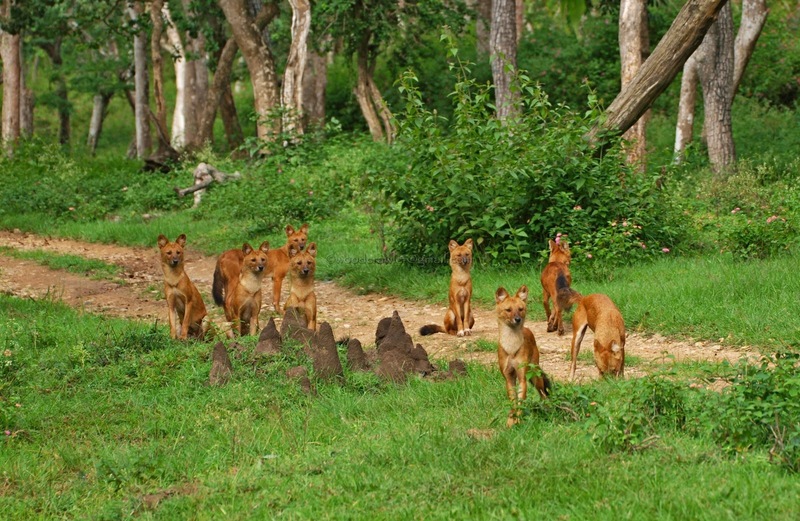 The dholes, or the Indian wild dogs, maybe small in size but make up for it by their fierce team work. If you look at them lolling around you'd think they were your domestic pets. Not very different from your home bred dog in size and demeanor but when it it time to hunt they are extreme pack animals. Their calls are also very different, including some whistling and yapping. No prey is too large for them. Their fierceness is legendary. Even leopards and tigers abandon their kill if the dhole decide to steal it from the larger predators! Size of an adversary is not a problem for the dholes. .........makes for a contented life on the banks of the Kabini. Sometimes, in other corners of the reservoir's edge there are heart rending scenes. A mother who has lost her child, sometimes refuses to leave the dead offspring's side for days. While we were watching this poignant scene a croc was trying to climb up the bank to drag the dead calf into the water! Some of Kabini's crocs are huge. They fear nothing. Not even the elephants. Even they have to face the most dangerous beast sometimes, humans. This croc, I did not know if it was dead or alive, was being taken to the river bank. I wasn't sure it was alive as the bank was an area where clothes were being washed and dried. Bandipur will always remain my favourite piece of wilderness. Perhaps it has to do with the easy accessibilty that I have from Palakkad or because Skanda spends a few days there, many times every year, whenever he has holidays. In any case most enduring images etched in my memory have come out of this beautiful place. 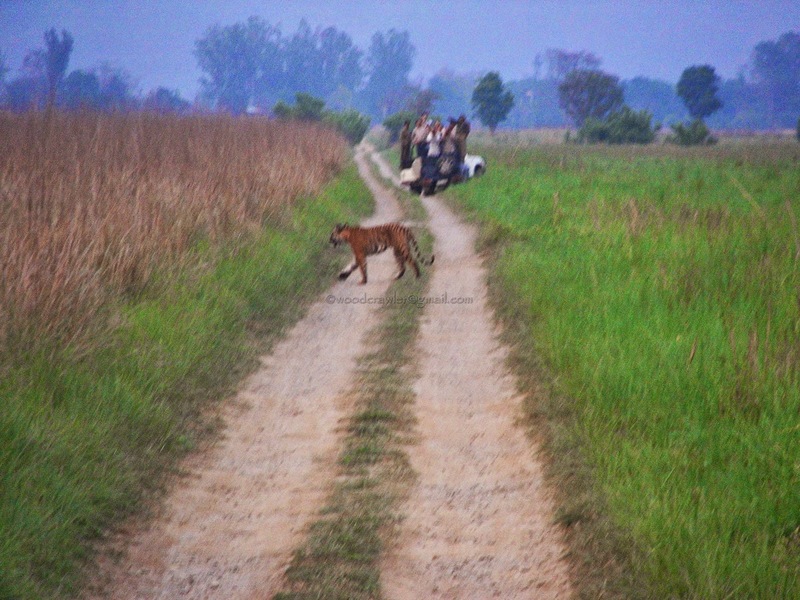 Our first tiger sighting in Bandipur happened on 22nd May 2009. Not one but two, mother and a full grown cub! The JLR property in Bandipur has a lot of green cover and more than once we have encountered some snakes, and handled them too! 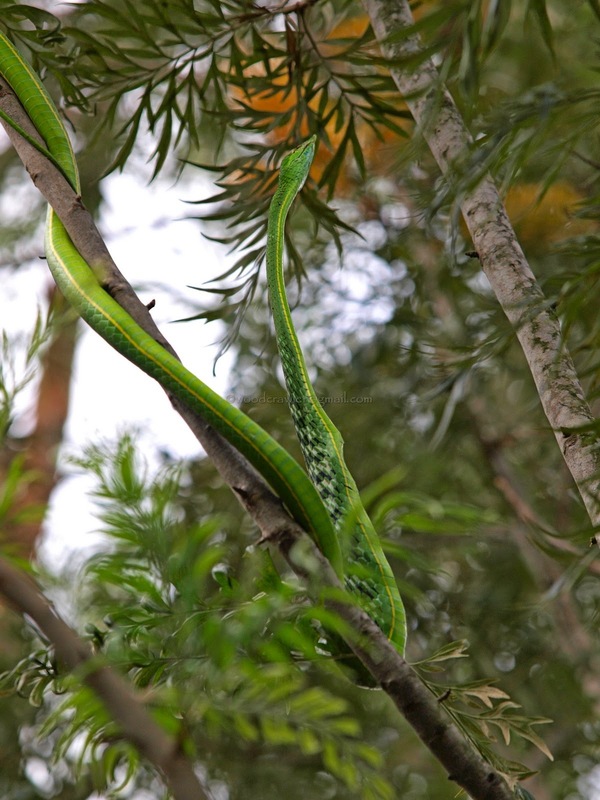 The best one was a green vine snake snacking on a garden lizard! Dholes, as I've already mentioned have been my favourite predator in Bandipur and even though they hunt in numbers, they too are wary of humans! 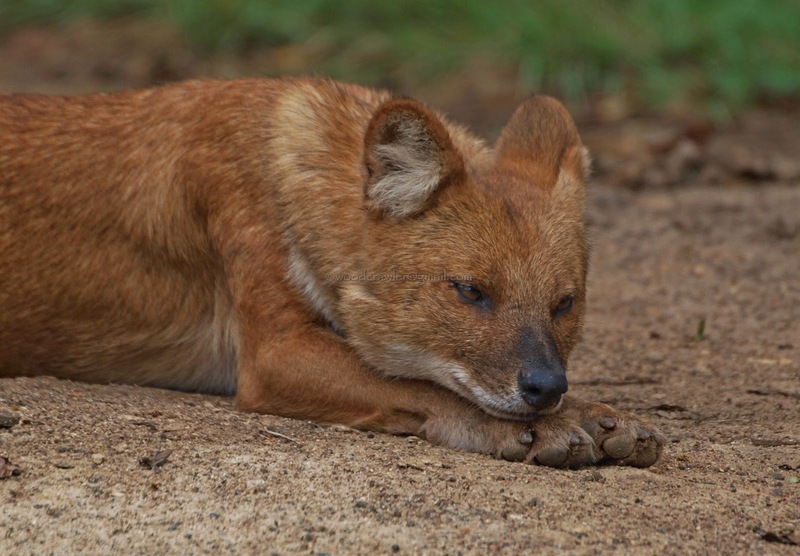 Here is a dhole story. 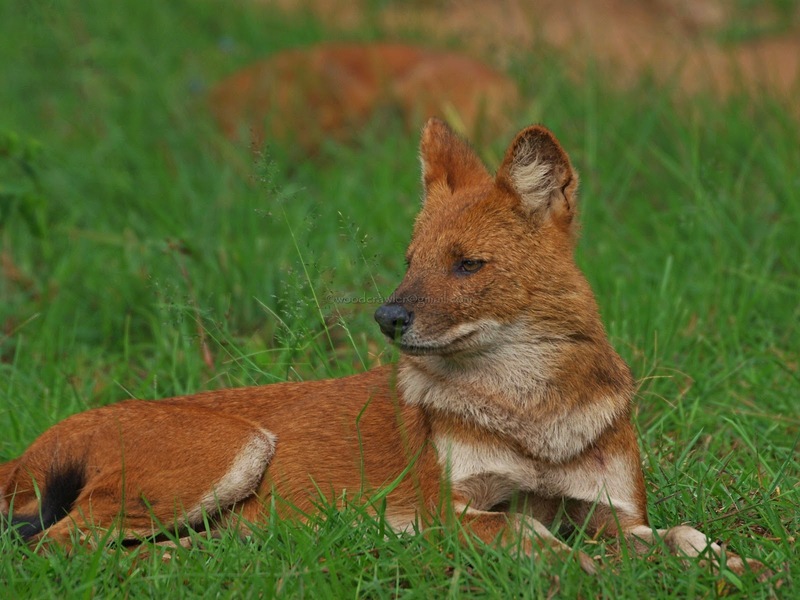 Of late, as I type this, the number of dholes have suddenly plumetted in Bandipur. I have see a pack of eighteen years ago. Now I rarely see then and even if I do, they are small packs of two or three. Perhaps the increase in tiger and leopard numbers have something to do with it. Tigers and their mates maybe the Kings & Queens of the Indian jungles but the leopard has a mystery to it. The first time I across the leopard in Bandipur was in April of 2010. Again there were two, though in completely different situations. The first was a big male, walking across the track majestically late in the evening.The blog post dedicated to this has received the biggest number of hits (6835 as I type this)! How were we to know that this was only a preview! 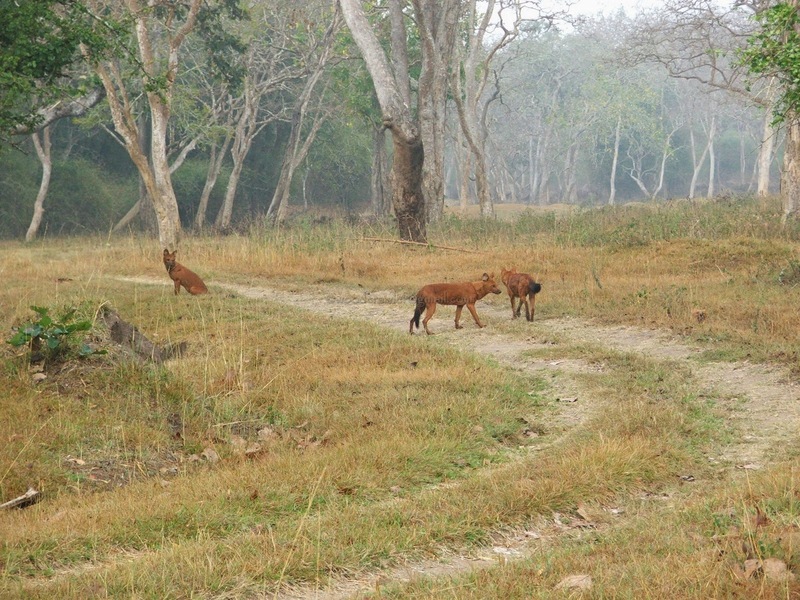 The next evening, on 17th April we ran into a pair of dhole and they were literally barking up a tree! What met our gaze on top of the tree left us speechless! It was an acutely embarrassed leopard on the tree, hanging on as best as it could, trying not to fall on top of the two excited dholes below! This blog has reached unexpected proportions! Perhaps compressing 15 years of woodcrawling into a single post is not a very good idea! In any case, it will be a post that might just be a bit too long to read in one go. I will update the post after a week. Congratulations!! That is a long crawl. Nice to see all those old photographs. This is absolutely awesome doc.